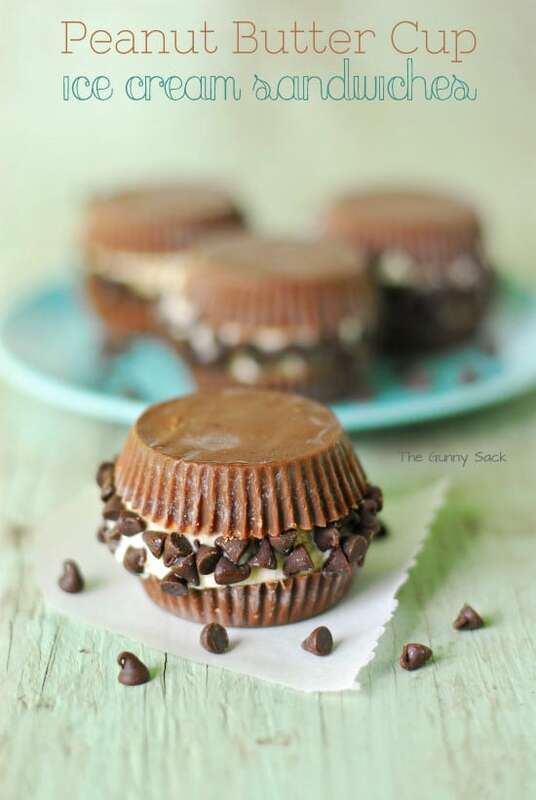 Peanut Butter Cup Ice Cream Sandwiches…the best of both worlds! This is an easy dessert recipe that your family will love! I love ice cream…in small amounts. I know, I know…besides chocolate, ice cream is the dessert of choice for many women, right? I get it! But here’s the thing, when my mother-in-law makes hot fudge sauce for ice cream, what I really want is a bowl of hot fudge sauce with a little ice cream on top! And when I get a chocolate dipped cone, I will eat the hard chocolate shell, scrape the ice cream off of the cone into one of my family members dishes and eat the little bit of remaining ice cream and the cone. And when I order a dish of ice cream, my favorite topping is Reese’s Peanut Butter Cups. I pick through the ice cream to find the peanut butter cup bits and always end up wishing for more peanut butter cups while leaving the remaining ice cream behind. So, I decided to make Peanut Butter Cup Ice Cream Sandwiches! They are perfect for me! I get two peanut butter cups with a little ice cream in between! What’s not to love? 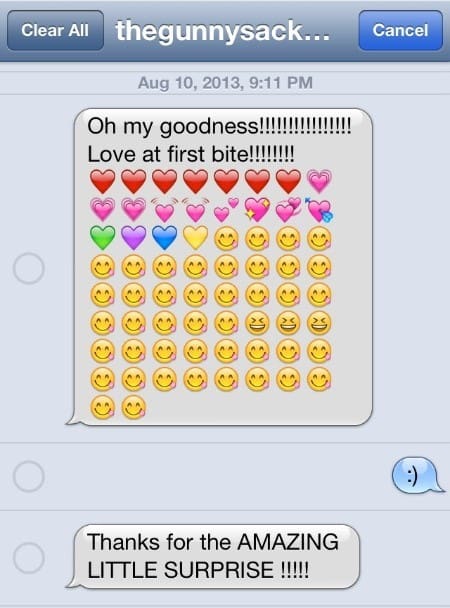 Tween girls are so much fun! 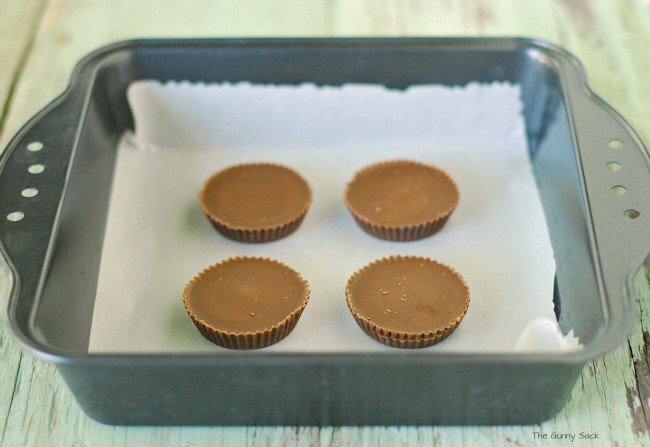 These are so easy to make that who really needs a tutorial but here goes…place unwrapped peanut butter cups on a plate or a pan that fits in the freezer. I used the Reese’s Peanut Butter Cups in the “snack size” bag. 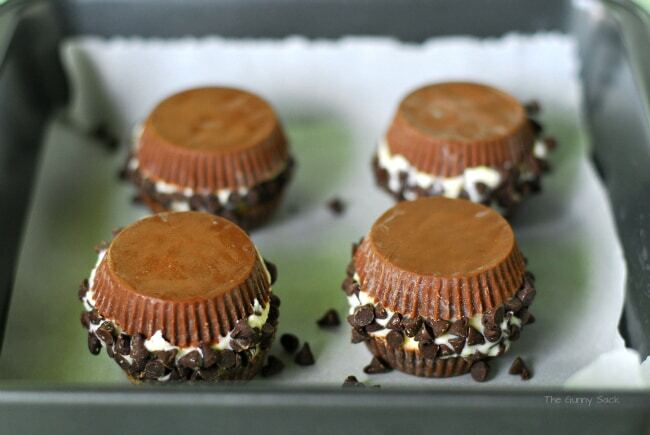 Put a scoop of ice cream on each peanut butter cup. Top the ice cream with another peanut butter cup and gently press down on the ice cream. Place the ice cream sandwiches in the freezer for 1 hour. Roll the peanut butter cup ice cream sandwiches in mini chocolate chips. Use your fingers to press the mini chocolate chips into the ice cream. 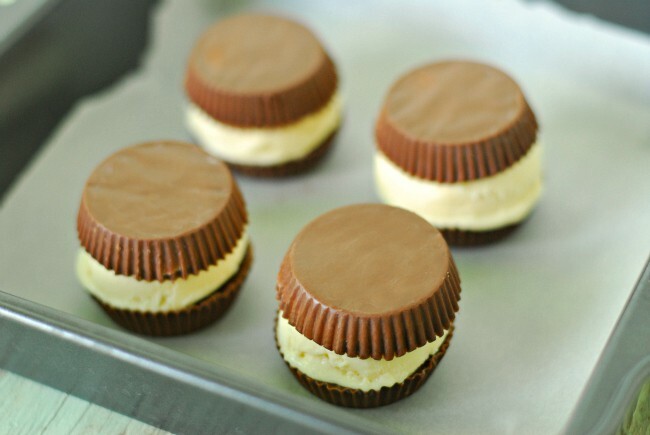 Return the peanut butter cup ice cream sandwiches to the freezer until ready to serve. Yes, I have to agree! 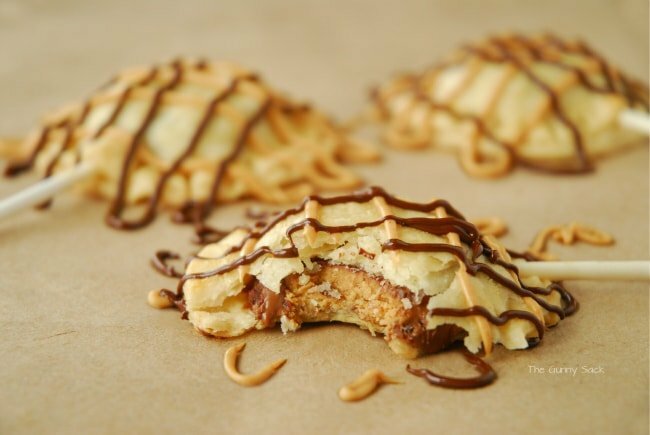 The peanut butter cup ice cream sandwiches are very delicious! 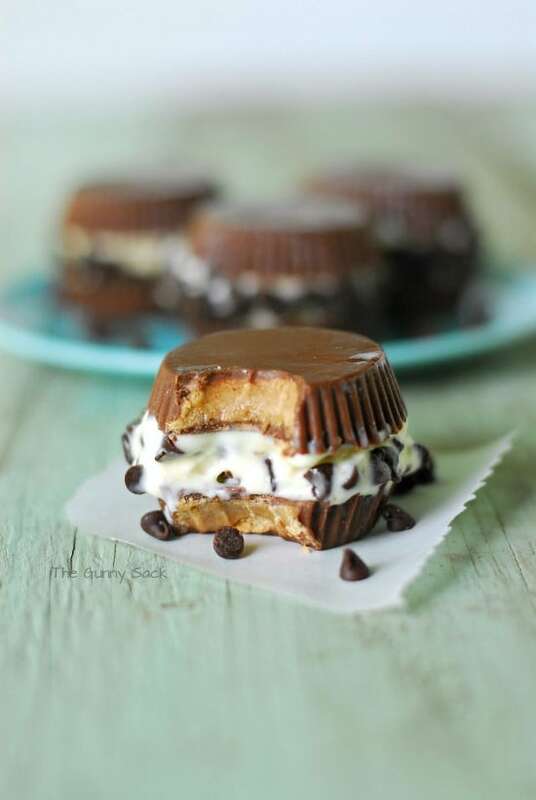 I’m ashamed to say that I’ve never had peanut butter cup ice-cream sandwiches! This recipe looks great though so hopefully that will change! Thanks for posting it, Tonia! 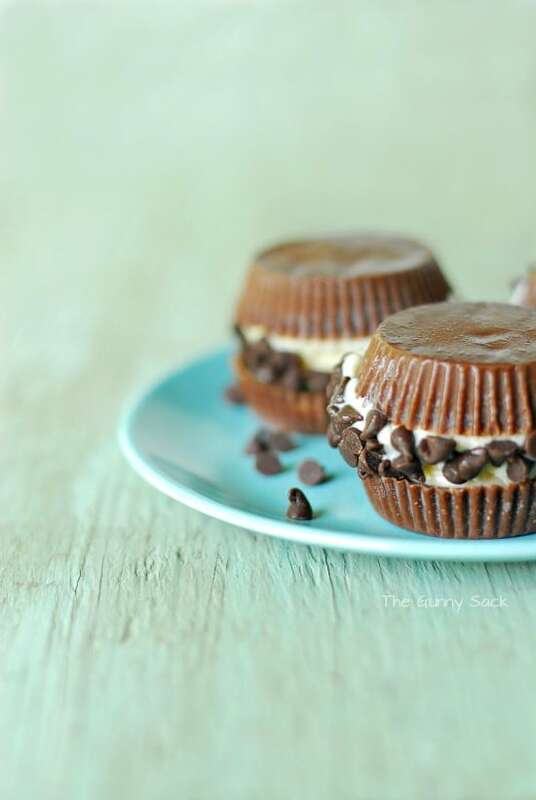 Gorgeous photos and amazing looking peanut butter cup ice cream sandwiches! I am obsessed with desserts! Definitely I will prep it on the weekend for my family. Thx Tonia! Yum! I love how easy these are. 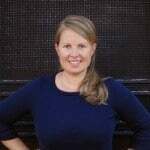 You’re brilliant Tonia! This is genius! I can’t wait to try it!!!! Thank you for a fab idea! You’ve pretty much combined all of my favorite things here!! YUM. Same here! Thanks for stopping by Kristi! NO WAY! Holy cow…delicious! Found this recipe on Pinterest! We’d love for you to come over to our newest link party over at The Inspiration Network: DELISH- a desserts only link party. Bring your desserts and let’s party!! Thanks Melanie and Diana! I’m delighted you stopped by! LOVE this idea!!! My kids will flip over it!! Okay, that’s it, you just won the internet, or whatever prize would be appropriate for creating quite possibly the most amazing treat ever. Mind blown!!! OMG. Tonia! These are fabulous. Such a decadent, delicious dessert! My husband would go crazy over these! oh, yum, why didn’t I think of this? Oh my gosh, is this real life?! I don’t know anyone who could possibly resist one of these awesome sammiches! Oh my gosh those are dangerous!! Oh yeah…in a good way! 🙂 Thanks Erin! Tonia, The Peanut Butter Ice Cream Sandwich’s look awesome. I can hardly wait to try them. 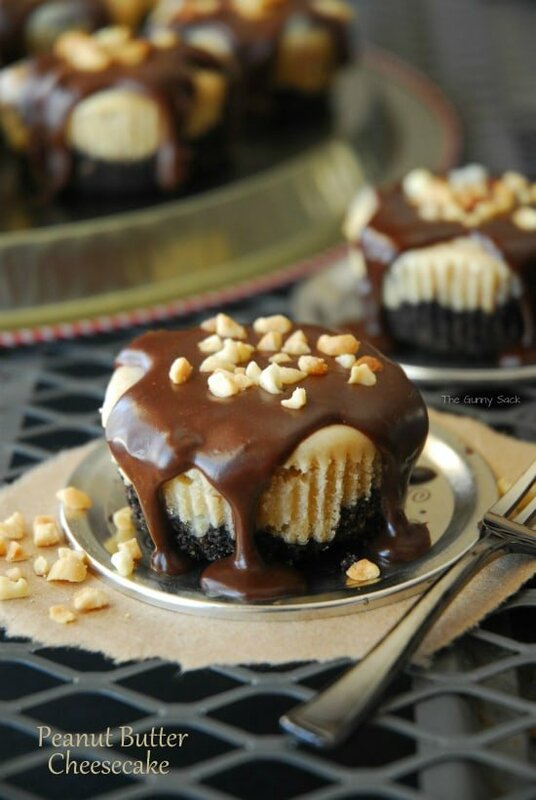 With the Peanut Butter Pie Recipe as well as the Peanut Butter Chocolate Cheesecake & the Peanut Butter Cup Pie Pops Recipe. Can they also be made with Nutella? The reason I ask is because my eldest granddaughter is Allergic to Regular Peanut Butter. 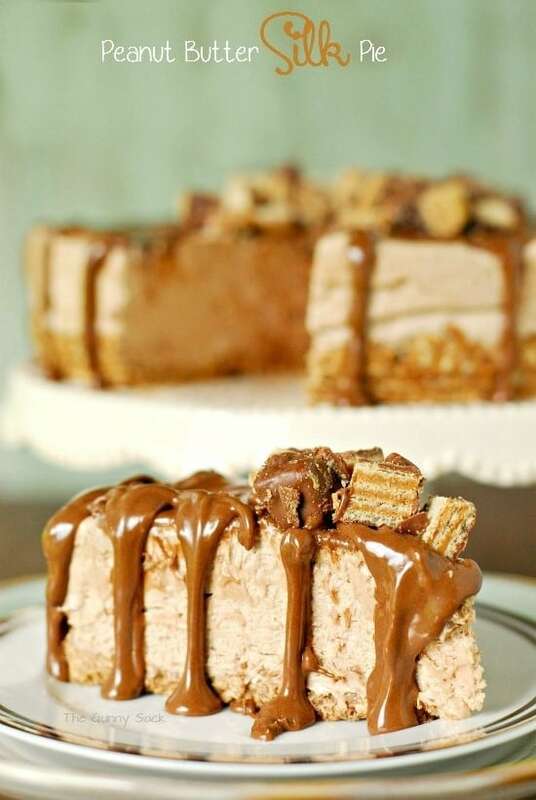 I’ve never tried making any of them with Nutella but am definitely going to try making the Peanut Butter Pie with Nutella! That sounds amazing! 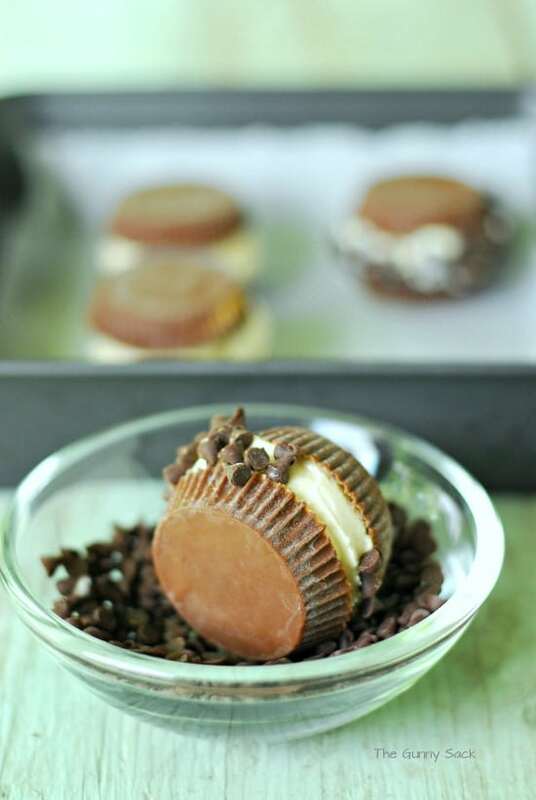 The Peanut Butter Cup Pie Pops have a Reese’s Peanut Butter Cup inside them so that one would be a little bit harder. You could make your own Nutella Cups and then wrap them with pie dough. well, this is sinful, but they are little, right?!! So true! 🙂 Thanks Jenna! These look so delicious, Tonia! You? Are a genius! 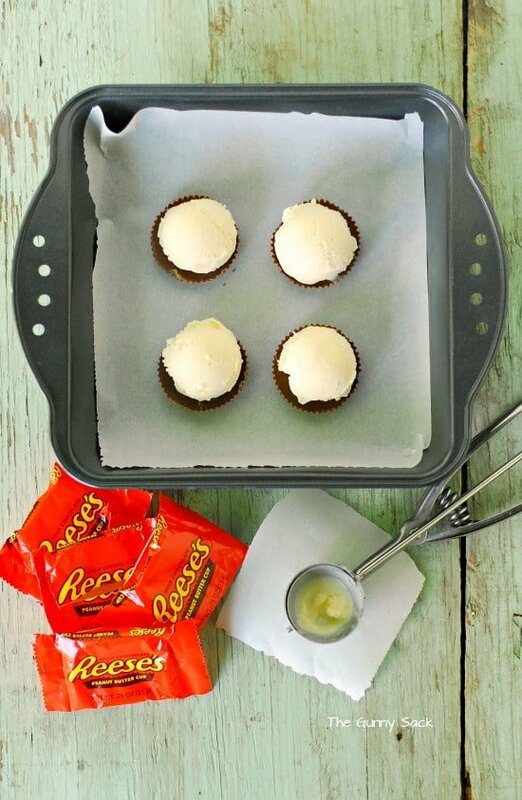 These look SOOOOO good – pinned!! LOL! Just a girl who loves her chocolate and peanut butter! Thanks Keri!